Taking their place among IAFF fire fighter delegates from across North America are delegates from Montreal, QC Local 125, which reaffiliated in October 2017 after an absence of more than 40 years. Use our IAFF Convention checklist to make sure you have everything you need for a productive week in Seattle. In recognition of our 100th anniversary, we’re asking every member to pay it forward by donating $100 for our 100 years to benefit the IAFF Foundation. 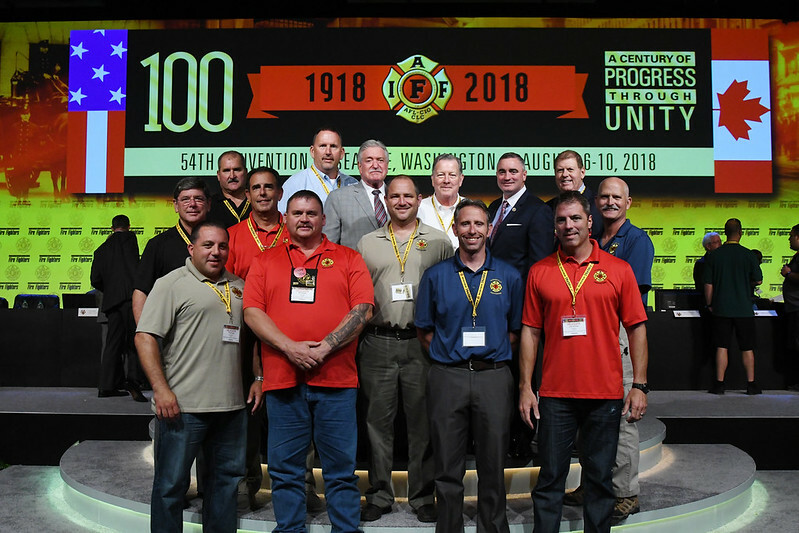 DOWNLOAD the IAFF Frontline app (version 9.0 for both iOS and Android) for all Convention-related information and materials throughout the week. Welcome to Seattle and the 54th Convention of the International Association of Fire Fighters and celebration of this union’s 100th anniversary and Century of Progress Through Unity.